12/27/2015- The Department offers condolences to Captain Scott O’Quinn and his family. Captain O’Quinn’s father Olin, passed away Sunday at home after a long illness. He served as a volunteer firefighter for several decades with the former Hendersonville Rural Fire Department (Now Station # 8) prior to the creation of Fire-Rescue in 1994. Please remember their family in your prayers.The Mass of Christian Burial will be celebrated at 11 o’clock Thursday morning, December 31, 2015, at Saint Anthony Roman Catholic Church, 925 Jefferies Boulevard, Walterboro. Fr. Antony Benjamine, Celebrant. The family will receive friends following the funeral mass in Trinity Hall. A 51 year old male received suspected life threatening injuries in a MVC in the 400 block of Pellum Road Christmas evening at 18:37. There were no witnesses to the accident, but the callers to 9-1-1 reported finding the man lying in the middle of the roadway. Evidence at the scene indicated a vehicle left the roadway twice just north of where the man was found. A pickup truck was found in a field approximately ¼ mile south. The truck had left the roadway, drove through a fence and stopped when it ran into a gate. Click here for more information. At 04:24, a 36 year old male received suspected life threatening gunshot wounds during an incident at 376 Jonesville Ave Thursday morning 24-December. 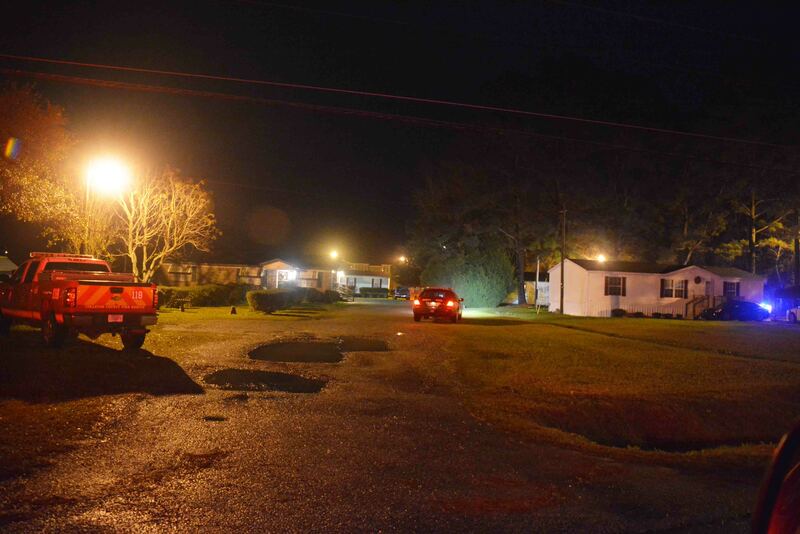 This was the second of three shooting incidents to occur this evening. The patient received multiple wounds to the torso. After Sheriff’s Deputies cleared the scene, Firefighter-Paramedics quickly treated the man and requested a medical helicopter. LifeNet declined the flight due to poor weather conditions. 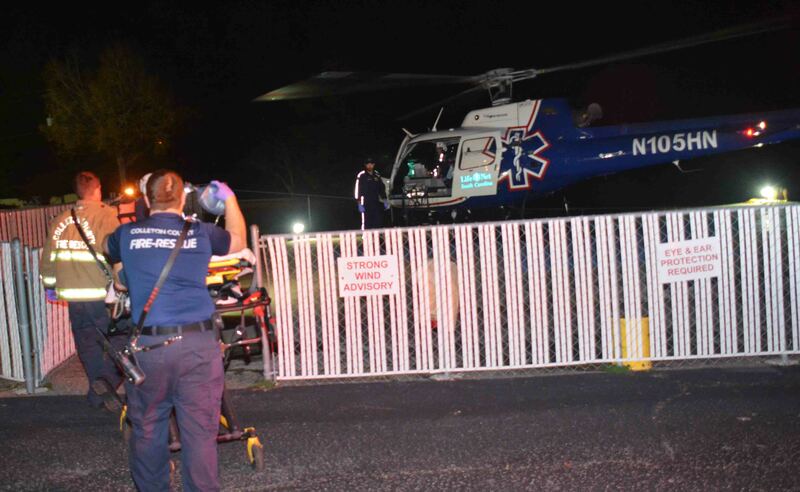 Medic 13 rapidly transported the man to the Trauma Center at MUSC in Charleston... click here for more information. 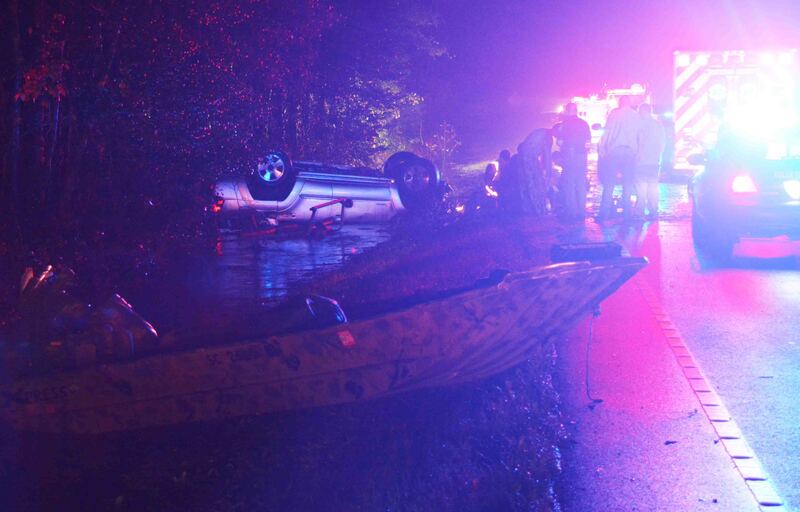 At 05:03, Wednesday morning 23-December, following a heavy thunderstorm, a single vehicle accident claimed the life of a 17 year old North Charleston youth. 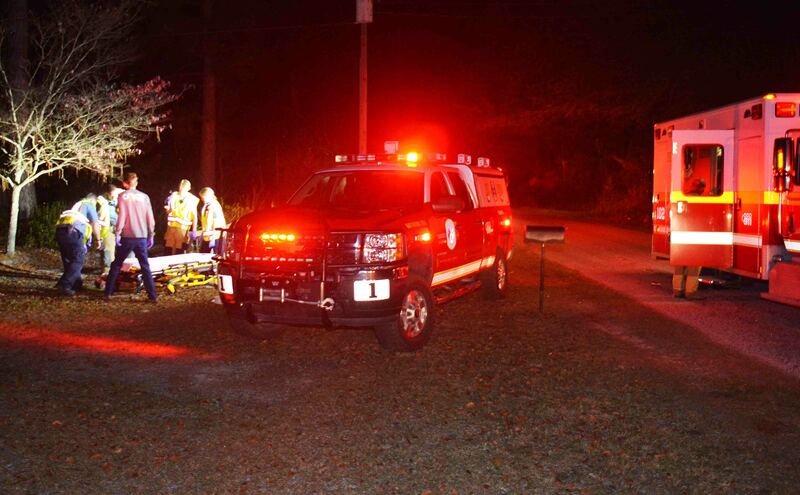 The accident occurred on a rural section of roadway in the 8000 block of Charleston Hwy. (SC Hwy. 64). The ditches were filled with water and overflowed onto the highway covering most of the road. The west bound Toyota 4Runner apparently hit the water and lost control. It was towing a metal jon boat. The car entered the westbound water filled ditch, struck a tree and over-turned receiving heavy damage. Click here for more information. We wish to express condolences to Firefighter Harold Buzzell regarding the death of his brother. Clyde W. Buzzell, 73 of Southborough MA passed away December 16. Visitation will be held at Donald C. Morris Funeral Home in Southborough Saturday, 19-December from 9:00 to 10:30. The Funeral service will follow at 11:00. Please remember the Buzzell family in your prayers. 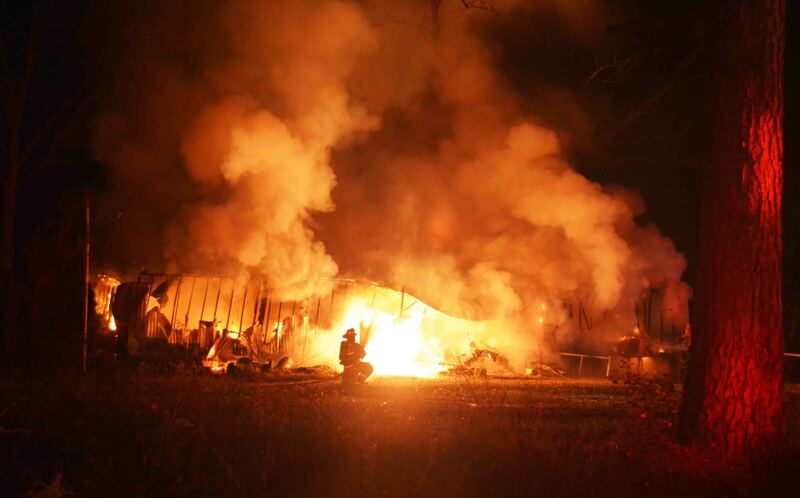 A Ruffin family has been displaced by an early morning fire that occurred Sunday morning 13-December. At 04:26, 9-1-1 was notified of the incident at 1238 Indian Creek Drive, in which the caller advised the living room was on fire. Engine 18 arrived minutes later to find the singlewide mobile home fully involved and a LP tank venting gas. The roof over the middle of the structure had already collapsed. Firefighters deployed two 1-3/4 handlines to combat the fire. Click here for more information. 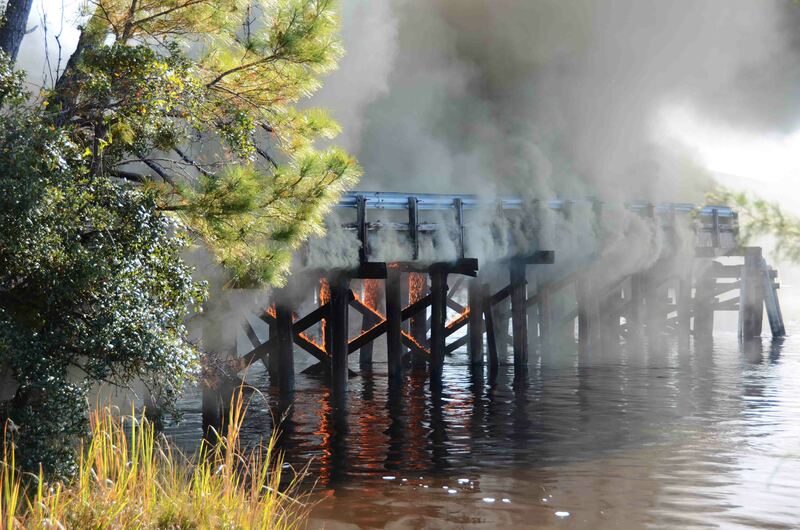 At 09:57, 9-1-1 Operators received a report of a wooden bridge on fire possibly on Ti Ti Road near Bear Island. The call came from a boater who’s cell phone accessed a tower in Beaufort County. While units were responding a second caller advised the fire was located at the abandoned bridge in the 9800 block of Bennetts Point Road over the Ashepoo River. The old wooden bridge had been replaced in 1980 by the current concrete bridge, however portions of the wooden bridge were left in place to be used as a fishing pier. Click here for more information. 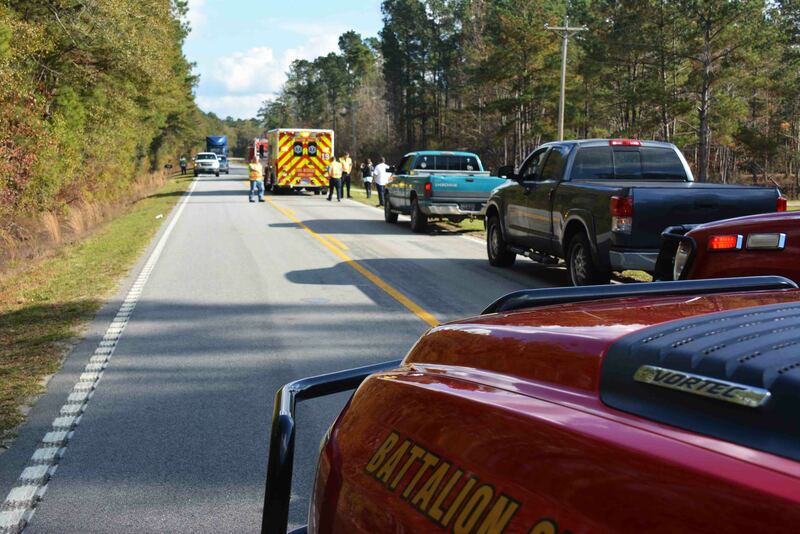 Two adult males were injured, one critically, after two west bound motorcycles collided in the 25600 block of Augusta Hwy (SC Hwy 61) Friday afternoon at 13:53. Both vehicles were traveling in the same direction, when the front motorcycle stopped suddenly resulting in the second bike striking the first. The driver of the first motorcycle, who was not wearing a helmet, received critical injuries and was semi-conscious at the scene. Click here for more information. Fire-Rescue expresses condolences to the Dalton Family. Battalion Chief Brent Dalton’s grandmother passed away December 6. She was 90 years old. Ms. Mary Dalton resided in Afton Iowa. Chief Dalton and his father traveled to Iowa to attend the funeral. Ms. Dalton was buried in Creston, Iowa. Please remember their family in your prayers. 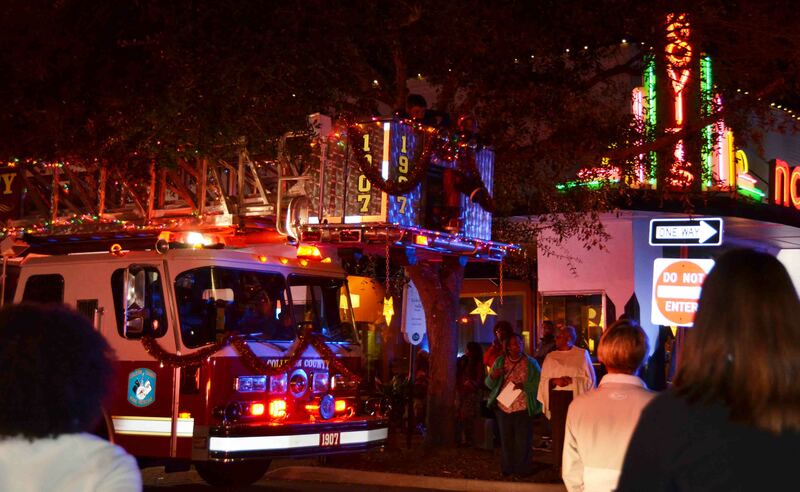 Fire-Rescue participated in the Christmas Parade with five units. Engine 1, Medic 1, Tender 1, Tender 27 and Ladder 19 were in the parade procession. Crews decorated the apparatus and strung lights around Ladder 19. The evening parade began at 18:00 taking a route west on Hampton St and then turning east to travel down Washington St through the business district. Most floats were decorated with Christmas lights. Click here for more information. Seven members of Fire-Rescue participated with over twenty other emergency responders and Colleton County DSS to bring a brighter Christmas to needy children in our community. 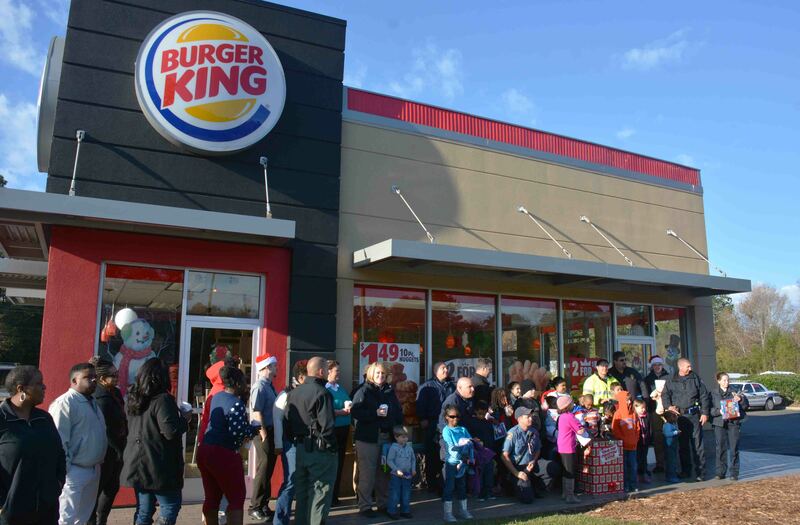 The annual event is sponsored by the Walterboro Police Department who spearheads the collection of donations to purchase the gifts for the children. This year Walterboro Police, Fire-Rescue, Walterboro Fire Dept., the Sheriff’s Office and Cottageville Police Dept participated. Click here for more information. At 06:02, Thursday morning 03-Decmber, a small passenger car collided with a three axle tanker truck at the intersection of Robertson Blvd and Cottageville Highway. The 38 year old driver of the car suffered multiple traumatic injuries and was trapped in the wreckage. Firefighter-Paramedics arrived to find the man unconscious in the vehicle. The driver of the truck was not injured. Crews began treating the man and used Holmatro Rescue tools to extricate him from the car. Click here for more information. A couple and their canine were rescued from a motor vehicle collision involving a single vehicle on Tuesday night, 01-December at 20:25. The vehicle was travelling northbound at the 41 mile marker on Interstate 95 and, according to S.C. Highway Patrol, experienced a tire blowout. 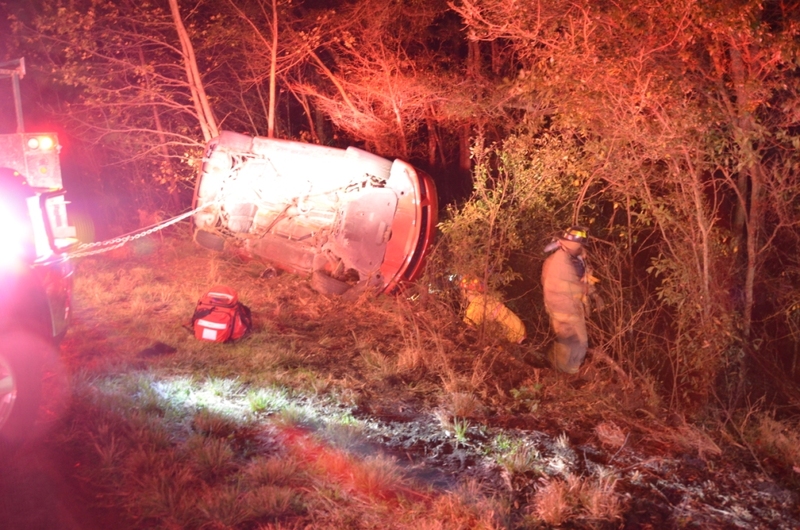 The vehicle rolled on its side and came to rest precariously positioned adjacent to the Salkehatchie Creek. Click here for more information.